Big things are happening at BMW. Very big things. The first-ever BMW X7 is exactly what’s happening, and it’s BIG coming in at 203.3 inches long, 78.7 inches wide and 71.1 inches tall. The BMW X7 is big on space. Big on standard features. Big on technology. Big on comfort. Ok, ok. We think you get the point. Now let’s get to know more about the X7. Let’s get to know all about it and what it brings to the road, to the driver and to all the passengers. When we say all the passengers, we literally mean all the passengers. Because every seat in the all-new BMW X7 is a good seat. The interior is second to none and was clearly designed to provide the ultimate in comfort and luxury. That’s exactly what you deserve when riding in a car, and BMW certainly knows that. With three rows of seating including a second-row bench seat, this 7-passenger vehicle has the space for everyone to hop in and enjoy the ride. 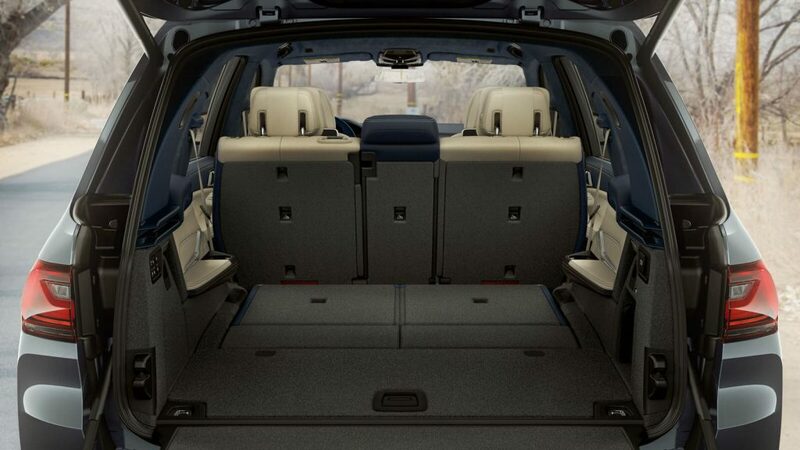 Fold all the seats flat down and take advantage of 90.4 cubic feet of cargo space. The standard all-electric Power heated Front Seats make it so you don’t ever want to leave your vehicle. Not a bad thing at all when setting off on a long trip. Not to mention the Panoramic Glass Roof and optional Panoramic Sky Lounge LED Roof providing ultimate views and that all-around luxury feel. 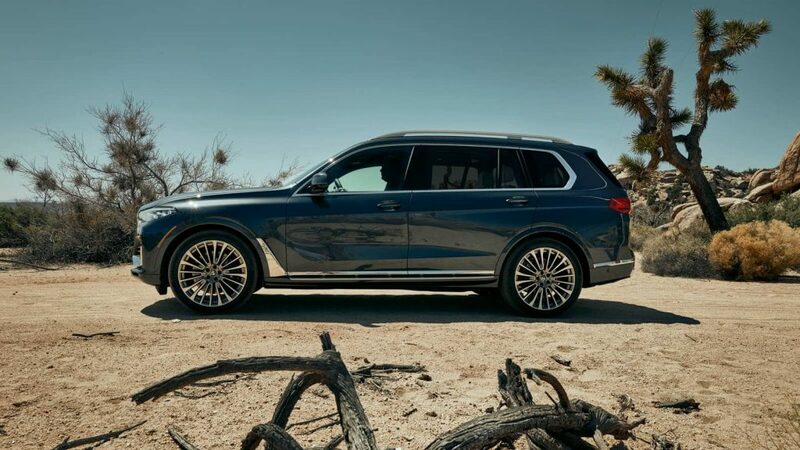 The exterior of the BMW X7 is keeping up with the BIG theme through and through. Big design elements make this vehicle a force to be reckoned with on the road. It cannot be ignored and is bound to make a big impression wherever it goes. Front and center for all to see is the signature kidney grille flanked on both sides by the eye-catching standard Adaptive Full LED Lights and LED Foglights. It doesn’t stop there. 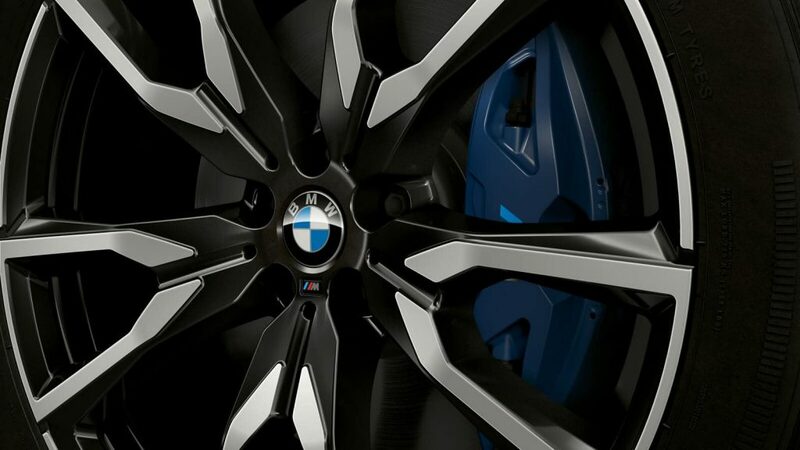 Ride in style and “on” style when you choose the optional 22″ wheels – the largest wheels available. 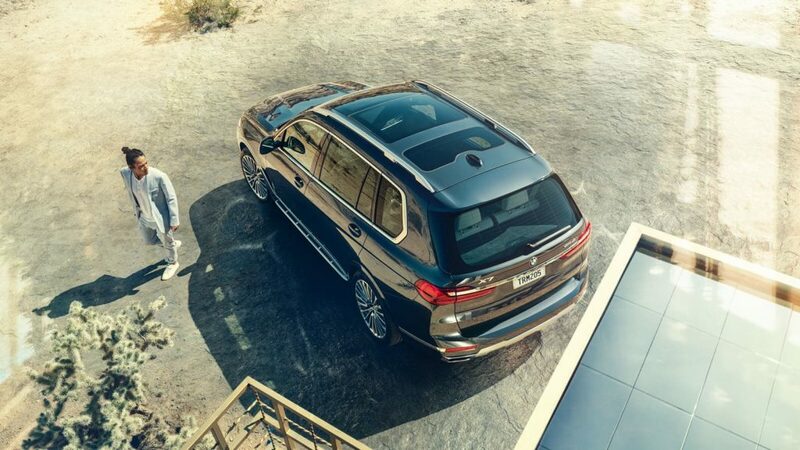 Choose the BMW X7 model that works for you. The BMW X7 xDrive40i is powered by the 3.0-liter TwinPower Turbo inline 6-cylinder engine delivering 335 horsepower. 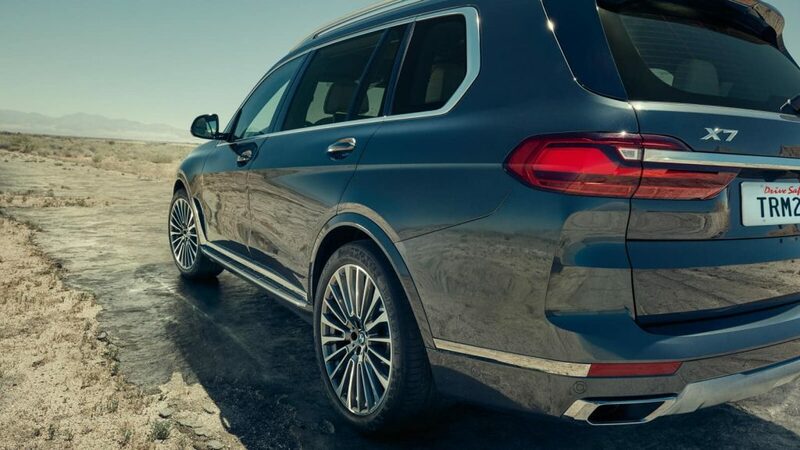 The BMW X7 xDrive50i model delivers even more power thanks to the 4.4-liter TwinPower Turbo V-8 engine outputting 456 horsepower. Both feature xDrive and intelligent all-wheel drive. Whichever you choose, you’re getting impressive performance all day, every day. BMW never settles when designing and building vehicles and you shouldn’t either. See the first-ever BMW X7 Sports Activity Vehicle® at Leith BMW in Raleigh when it arrives in our showroom early March. Be ready for something big, something extraordinary. We look forward to seeing you.